Now that Thanksgiving is over you probably have a lot of leftovers. Shepherd’s pie is a great way to take Thanksgiving leftovers and make them into something new and different. If you had a veggie tray, you can use up any veggies you have left. Heat olive oil in a large skillet over medium high heat. Sauté onion and carrots until tender, about 5-7 minutes. Stir in turkey and gravy. Season to taste with salt and pepper. 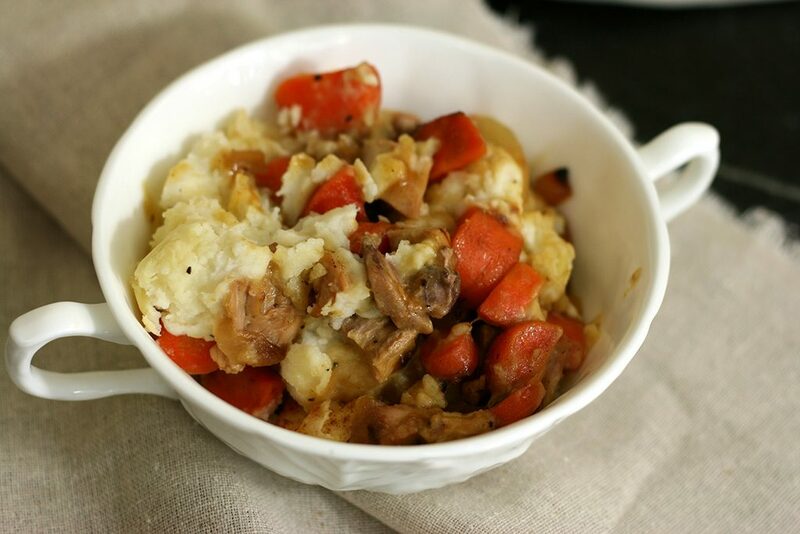 Pour into a casserole dish and top with mashed potatoes. Bake for 30 minutes.